RCMP Southern Alberta, October 3, 2018 - Despite several warnings in conjunction with Alberta 511 reports, travelers ventured onto southern Alberta highways. In anticipation of severe snowstorms, Alberta RCMP first began issuing warnings about extremely poor driving conditions, starting at 11:00 a.m. Tuesday. Motorists were requested to avoid travel on Highway 1, west of Calgary. At 1:30 p.m., an update was provided with continued warnings of poor driving conditions and reduced visibility. At 2:45 p.m., Alberta RCMP released a warning to motorists in the Airdrie area that travel should be avoided. At 11:30 p.m., Tuesday evening, an advisory was issued that travel was not recommended on all southern Alberta highways. In coordination with Alberta Transportation, Highway 1 was closed last night near Lac Des Arc. No fatalities were reported as a result of the weather related delays and no injuries to stranded motorists were reported. Highway crews, tow trucks and the RCMP worked through the night to clear the roads and assist motorists. Unfortunately, several motorists remained stranded in their vehicles. 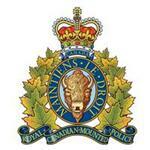 Highway 2 was closed between Bowden and Crossfield as RCMP responded to a 25 - 30 vehicle collision resulting in one death at approximately 7:00 p.m. Tuesday evening. The RCMP responded to approximately 83 collisions in southern Alberta between 10:30 a.m. yesterday and 10:30 a.m. today. Weather continues to be a problem this morning and an 8:45 a.m. media release was issued again warning motorists that travel is not recommended on Highway 1A west of Cochrane. · Highway 1 between 1X and Canmore have reopened in both directions. · Highway 1A east of Canmore is now open in both directions. · Highway 2 is open in both directions. Alberta RCMP remind motorists to check weather conditions and traffic conditions on Alberta 511 before traveling. While the efforts of the patrolling members remained ongoing through the afternoon and evening, it was not possible to assist every motorist who became stranded.